I will be using a blend of half all purpose white flour and half freshly ground whole wheat flour. You can use any flour you like, but the fresher the better. A 1 to 2 quart/liter container with a lid for keeping your starter (I will use a plastic food container) I don’t recommend glass as it can shatter or pieces chip off and then you lose your starter. Source of good water that isn’t chlorinated or treated with chemicals (filtered water is fine). For the first two weeks we will feed the starter every day and after the two weeks is up, we will test our starters and then bake bread with our new starters. 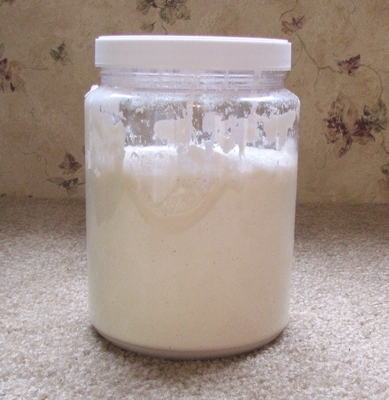 Be prepared to check in every day and follow along with the progression of a new sourdough starter. 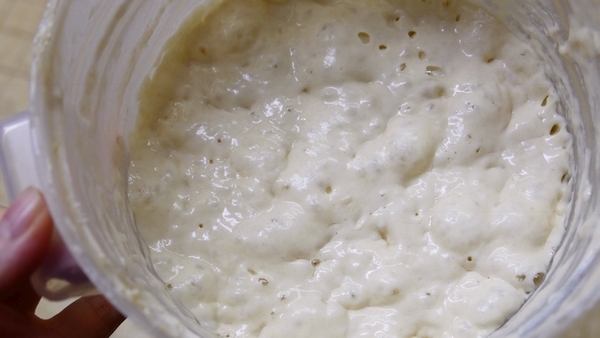 During the two weeks while the starters gain vigor we will talk about what we will need to bake bread with by the time your starter is ready. If you want to join in, then click below to get your name on the “Make Your Own Starter” e-mail list so you can be notified of what’s going on with our event. You do NOT have to join the mailing list for notifications, instead you can just show up on Jan 10th to my Youtube channel and see what I post and ask questions there under the videos.